The TVS Apache RR 310 Is Finally Here – Et Tu, BMW? As expected, the TVS Apache RR 310 debuted today in India, thus ending the bike’s nearly year-long delay in coming to market. Why do we care so much about a motorcycle that will likely never set foot on US soil? Because at the heart of the TVS Apache RR 310 is BMW Motorrad’s next small-displacement motorcycle: the BMW G310RR. 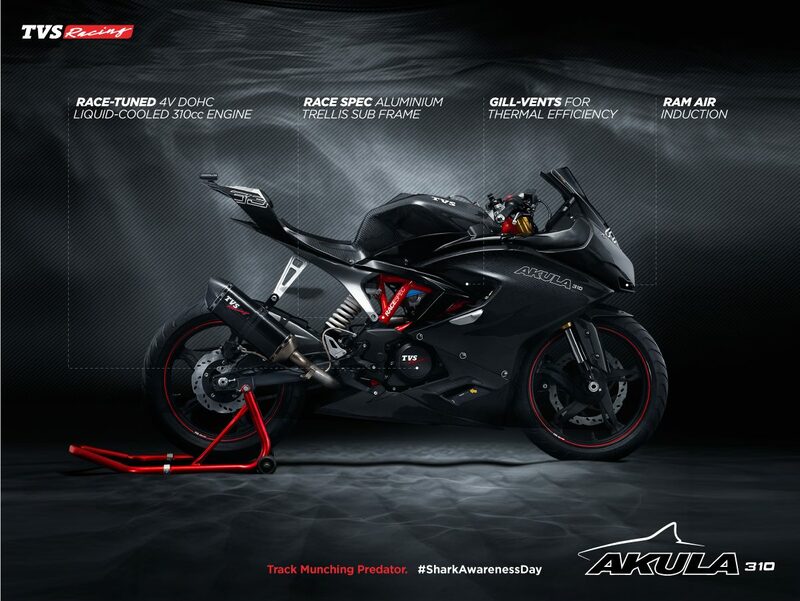 …well that, and the TVS Apache RR 310 looks pretty tasty as a track bike. Partnering with TVS Motor, BMW Motorrad is co-developing its 313cc line of single-cylinder motorcycles with the Indian firm, with the TVS Apache RR 310 set to become the BMW G310RR in the German brand’s lineup. As such, the BMW G310RR is expected to debut later in 2018, and join the G310R and G310GS as BMW’s multi-prong approach towards newer riders. With those bikes delayed by over a year now as well though, BMW Motorrad as well as TVS Motor run the risk of being irrelevant before even coming to market. This is because we have seen the 250cc segment in the western markets rapidly become the 300cc category, and now there are indications that the displacement-creep will take learner bikes from 300cc and into the 400cc territory – the Kawasaki Ninja 400 being the first sign of this. The TVS Apache RR 310 is perhaps more immune to this action, with the Indian market having more dividing lines in the small-displacement category than we have in the west. Accordingly, the Apache RR 310 joins a long line of motorbikes in the TVS range, which range from 160cc, 180cc, and 200cc in displacement. Of course, a 400cc option would easily fit into the TVS Motor lineup, even with the TVS Apache RR 310 kept in place. Sharing the BMW-designed engine for the G310 range, the TVS Apache RR 310S makes just over 34hp and 20 lbs•ft of torque, and it tips the scales at 375 lbs at the curb. As for the chassis , it is the same steel trellis frame that you will find on the BMW G310R and BMW G310GS. The details on the TVS Apache RR 310 are quite modern, with an LCD dash, an LED headlamp arrangement, and dual-channel ABS. Suspension is by KYB, and the brakes branded as ByBre, which is a sub-brand of Brembo. The price is the real feature though, with Indian pricing set at 2.05 lakh, or roughly $3,100 USD.